prenatal support — expecting wonder. Because no two people are the same, neither is my approach to each birth the same. Please note: I work primarily in a doula partnership, Root & Spark. On a case-by-case basis, I will take on a client as a solo birth doula. 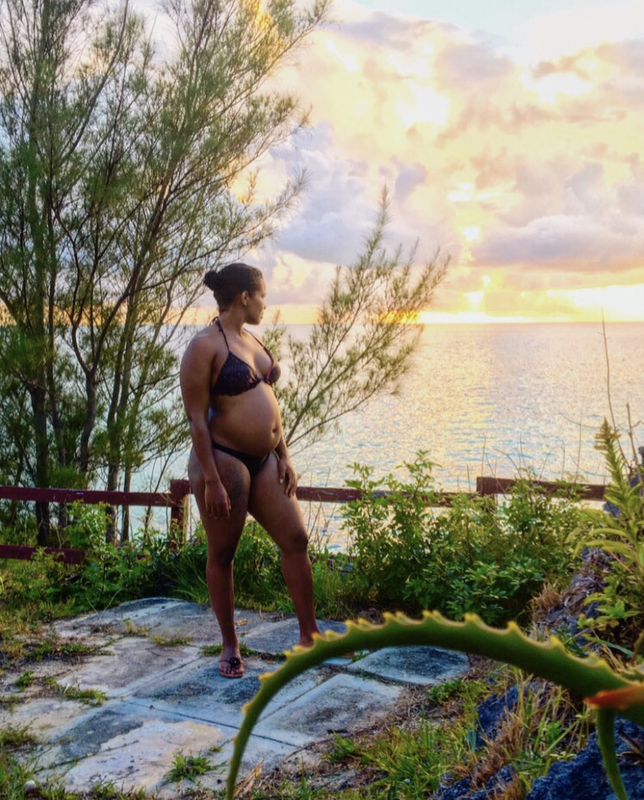 Babymoon in Bermuda, September 2018. Whatever direction you are interested in taking, I am fully capable of supporting the outcome or decision you make. Whether it is at home, a birth center, a hospital birth, or an induction, spontaneous, high-risk or (un)planned cesarean, my goal is to ensure that you feel safe, in power and informed. I am happy to walk you through non-medical forms of coping (natural) during labor such as breathing, active relaxation techniques, movement/yoga, massage, visualization, counterpressure or any other technique you are curious about. I am also happy to support you in exploring and using medication for pain relief should you decide that is right for you as well as provide additional information on how to best utilize and maximize what is available to you in a hospital setting. For my Basic Birth Doula support services, I offer one complimentary in person interview where we get to see if we are a good fit. Once hired, I'd love to meet you for the prenatal meeting in your home where we learn about each other, talk about your current (and/or past) experiences being pregnant, what your interests and needs are as well as practice some of the techniques mentioned above. During this meeting, we will also discuss any concerns, think and plan for your postpartum period and recovery. After these two visits, I am on call from your 37th week of pregnancy. I then await your call letting me know you are in labor and I join you where you are birthing your baby and stay until they make their grand arrival. I'll be there to support you in initiating breastfeeding for the first time should that be part of your plan. The last visit happens a few days, maybe even one week after you give birth, giving you time to settle in. We will process the birth and discuss any referrals should they be needed. From the moment we decide to work together, I am available for phone calls and email support. "Stay With Me" package includes two prenatal visits, birth services, and phone and email support offered with an additional two 3-hour postnatal doula support sessions to be used within the first two weeks of giving birth. Please email me to inquire about rates + packages. To learn more about my postnatal services, click here. 1-2 prenatal meeting in your home where we discuss your vision for the birth, discuss signs as well as the stages of labor, explore comfort measures and techniques, address any concerns, and lastly, plan for the "4th trimester," the postpartum period. While in labor, I will meet you where you are, be it home, hospital or birth center and stay until baby is born. I remain there to ensure you are doing well and that breastfeeding is initiated. 1 postnatal visit in your home to check in and process birth, breastfeeding and how you and baby are doing overall. On call from 37th wk of pregnancy until you give birth. Phone and email support available the moment I am hired.